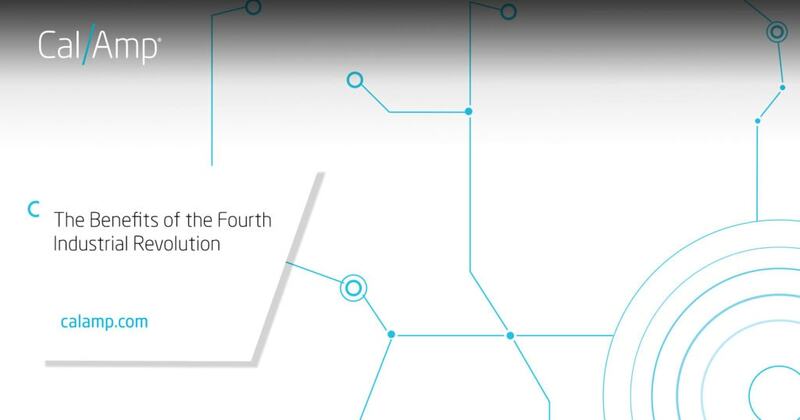 The World Economic Forum defines the Fourth Industrial Revolution as “characterized by a fusion of technologies that is blurring the lines between the physical, digital and biological spheres.” The article also notes that technology-enabled platforms will and are disrupting existing industry and operating structures. The benefits of this next development stage are clear. Improved productivity, flexibility and efficiency rise from distributed and networked intelligence that fuels critical decision-making, reduces excess capacity and eliminates many manual processes. Our infographic and summary below highlight four aspects of the connected economy. CalAmp is helping to build a better future by enabling this transformation to the connected economy. Our solutions power a better driving experience as well as offer access to a shared or on-demand vehicle service platform. 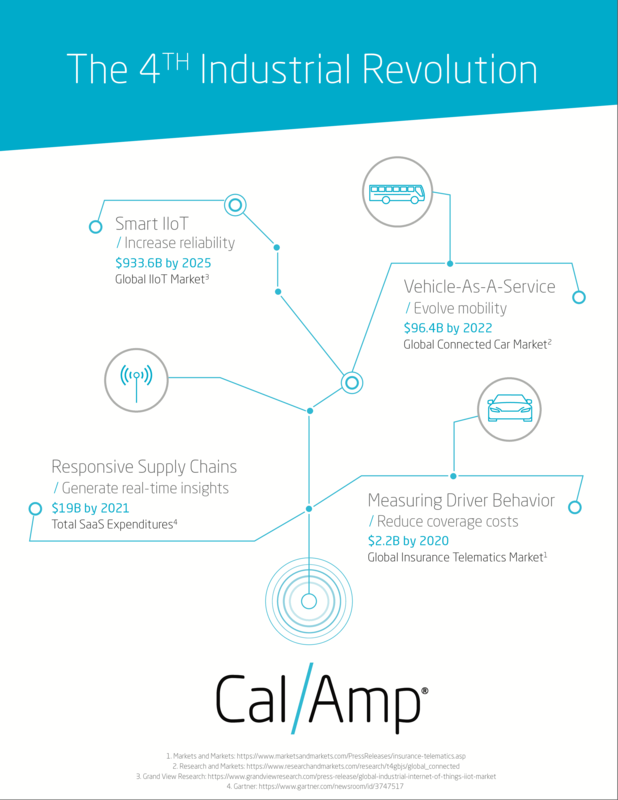 CalAmp customers like CargoSense and ALD Automotive Italy are already leveraging vehicle, asset and machine insights to drive industry innovation, reduce risk and improve safety. You may read more about these exciting times in our blog, A Revolutionary Road Ahead for Connected Industry.